Dream Walkin’ Farms Premium Meats™ was created with family and friendship as its foundation. With a hometown commitment to quality and service, my partners and I have put together a collection of favorites that my family, friends and I enjoy! Whether you are in the mood for delicious Certified Angus Beef ® steaks, mouth-watering Bar-B-Que, or something special like a Hickory Smoked Turkey or a Hickory Smoked Bone-In Ham for your family’s holiday dinner, we’ve got you covered. Order Dream Walkin’ Farms Premium Meats™, and you too can enjoy some of the most delicious premium meats you’ll ever taste! The Cusack family take great pride in their heritage. 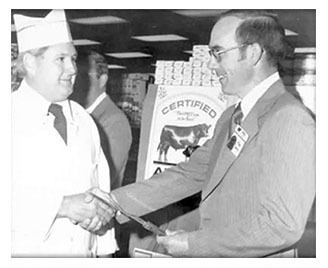 With over 81 years in the meat business, they are truly the backbone of Dream Walkin’ Farms Premium Meats™. 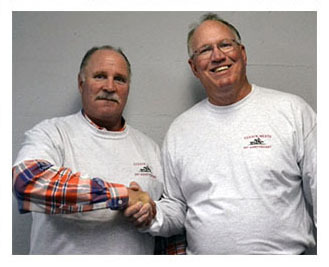 From humble beginnings when Owner Hank Cusack cut every steak himself to today’s online partnership with Dream Walkin’ Farms Premium Meats™, operated by Hank’s sons, Al and Donnie Cusack, one thing has remained the same … the family’s dedication to produce only the finest products! 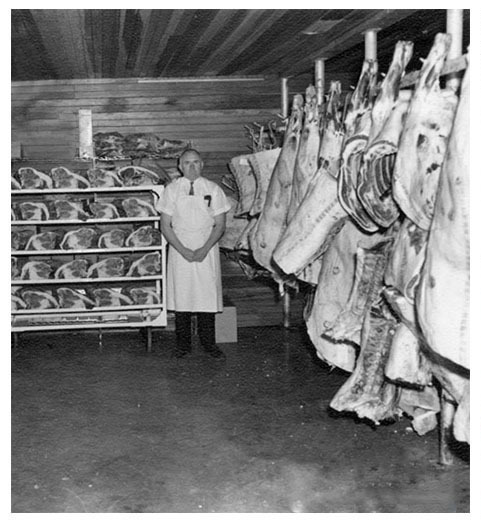 Since 1933, the Cusack family have been purveyors of fine meats to the most prestigious country clubs, hotels, restaurants, and beef lovers throughout the country. Now you too can enjoy the same in every Dream Walkin’ Farms Premium Meats™ product! There's Angus. Then there's the Certified Angus Beef ® brand. Not all Angus is equal. Other labels may say Angus, but that’s where the similarities end. The difference is in the flavor and that’s where the Certified Angus Beef ® brand sets the bar. The Certified Angus Beef ® brand ensures incredibly flavorful, tender and juicy beef due to high amounts of marbling in every cut. Only the best grades are considered for our label. The beef must pass the brand’s 10 science-based specifications for quality. It’s one thing to say Certified Angus Beef ® brand is tastier than anything else you put on your plate. It’s another to back it up with fact. At Dream Walkin’ Farms Premium Meats™, we’re confident that our perfectly aged Certified Angus Beef ® products will speak for themselves!